On December 24th City of Stonnington lodged a request seeking approval for new planning zones with the State Government. 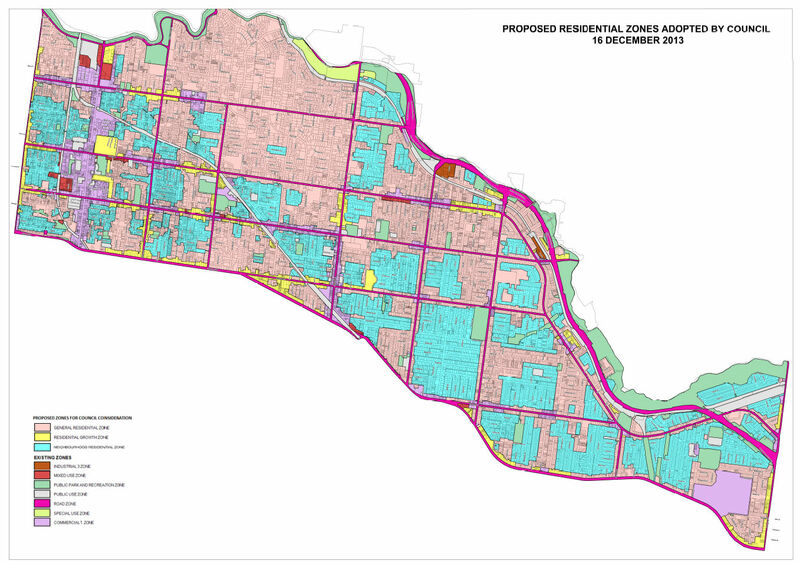 According to the still active DPCD website "Reformed residential zones for Victoria have been approved to better respond to present-day requirements and will give greater clarity about the type of development that can be expected in any residential area." With that in mind City of Stonnington, like all metropolitan Melbourne councils are required to analyse and consult their municipality and then ultimately roll out the newly reformed zones. The map produced for the initial consultation period (see below) shows a larger use of the new Residential Growth Zone, whilst a comparison of the consultation/adopted maps shows High Street, Wattletree Road and Waverley Road have had their Residential Growth Zone overlay replaced with General Residential. Likewise Toorak Road east of Orrong Road no longer sports the Residential Growth zone along one of the municipality's main thoroughfares. The prominence of the Commercial Zone, which can incorporate residential uses, in the western end of the municipality will ensure Chapel Street remains the primary focus of Stonnington's growth. Chadstone Shopping Centre toward the far eastern end of Stonnington is naturally Commercial and interestingly the entire Stonnington side of Dandenong Road and Warrigal road around Chadstone is to receive the new Residential Growth zone. How long can we leave Chadstone without a fixed heavy rail link? Urban Melbourne has posed the question in the past. Upon analysing the maps - both the consultation period and council-adopted versions - a clear theme for the new Residential Growth Zone has been paired with Stonnington's many tram corridors. For instance this section of Malvern Road, as seen below in Google's Street view, has been endorsed to have the new Residential Growth Zone. Similarly the section of Glenferrie Road between Malvern Road and High Street has been endorsed for the same Residential Growth zone treatment, enforcing the ideal that higher density living should be within close proximity to light rail services. 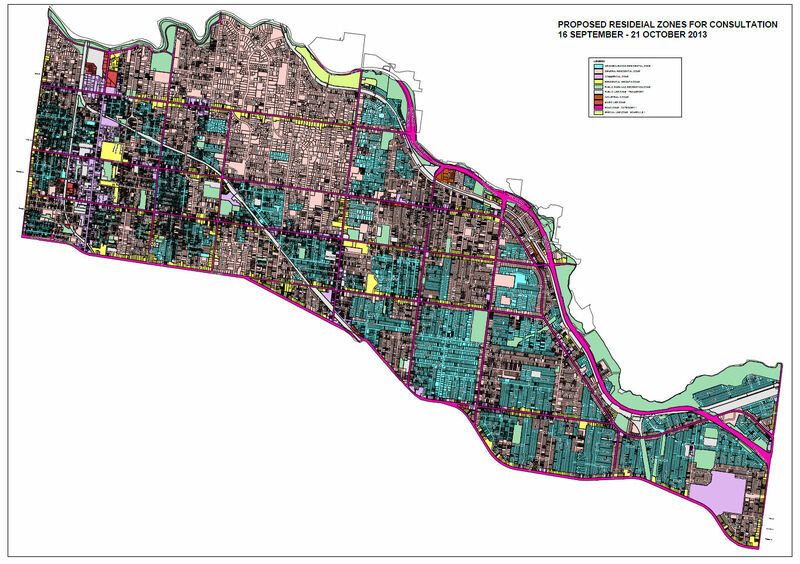 Click the maps below to see a larger images of the residential zones as envisaged by City of Stonnington. Alternatively click here to see Urban Melbourne's previous rundown on City of Moreland's changes, another council with intense development within its locality that will receive clarity in planning via the reformed residential zoning.